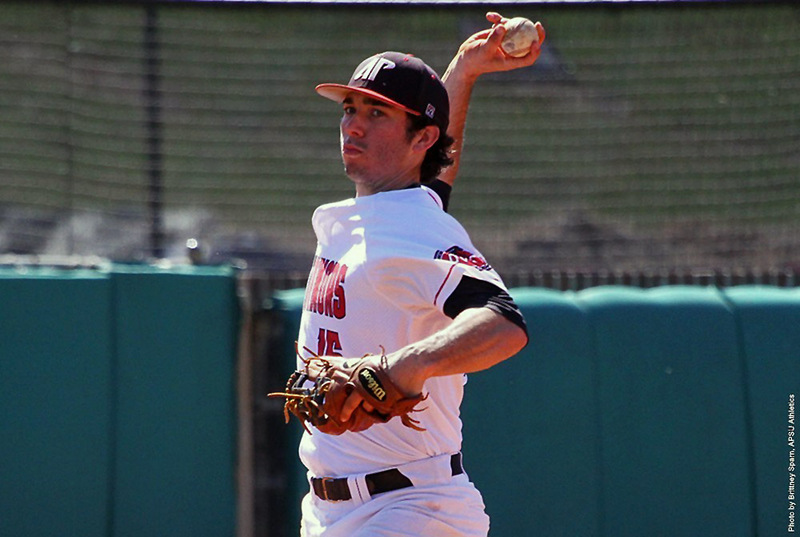 Brentwood, TN – One week before opening day of the 2016 season, Austin Peay State University’s baseball team was picked to finish third in the Ohio Valley Conference’s preseason poll of league coaches and sports information directors. In addition, junior infielder Logan Gray was one of two players selected as the league’s Preseason Co-Player of the Year, sharing the honor with Eastern Kentucky outfielder Kyle Nowlin. Washington, D.C. – Imagine a world with extreme temperatures that can wreak havoc on unprotected spacecraft and habitat components; a world where water is so scarce that plants are outfitted with sensors so farmers can avoid overwatering them; a world where precious water supplies are found in underground oases by satellites in orbit; a world where systems filter, recycle and purify air for the survival of inhabitants huddled in shelters. 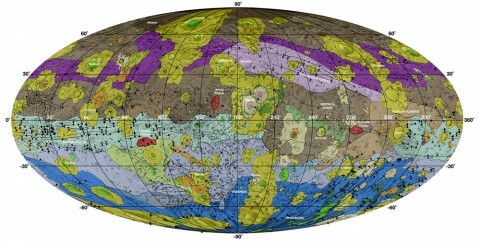 Although images of human habitation on Mars may have filled your mind, the world just described is actually Earth, and the technologies cited are spinoffs, or technologies developed by the American space program that have gone on to benefit the public. Pasadena, CA – A view from NASA’s Mars Reconnaissance Orbiter on April 8th, 2015, catches sight of NASA’s Curiosity Mars rover passing through a valley called “Artist’s Drive” on the lower slope of Mount Sharp. 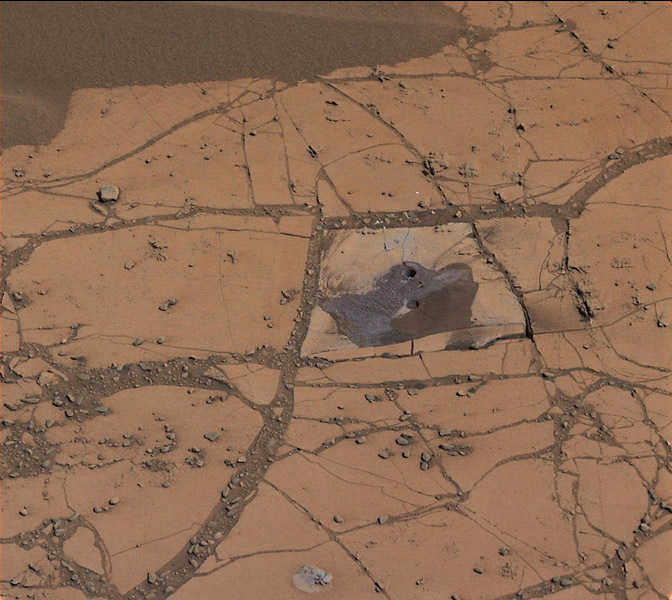 The image from the orbiter’s High Resolution Imaging Science Experiment (HiRISE) camera shows the rover’s position after a drive of about 75 feet (23 meters) during the 949th Martian day, or sol, of the rover’s work on Mars. 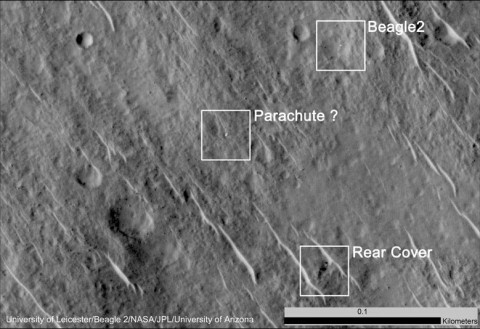 Pasadena, CA – The Beagle 2 Mars Lander, built by the United Kingdom, has been thought lost on Mars since 2003, but has now been found in images from NASA’s Mars Reconnaissance Orbiter. A set of three observations with the orbiter’s High Resolution Imaging Science Experiment (HiRISE) camera shows Beagle 2 partially deployed on the surface of the planet, ending the mystery of what happened to the mission more than a decade ago. They show that the lander survived its December 25th, 2003, touchdown enough to at least partially deploy its solar arrays. 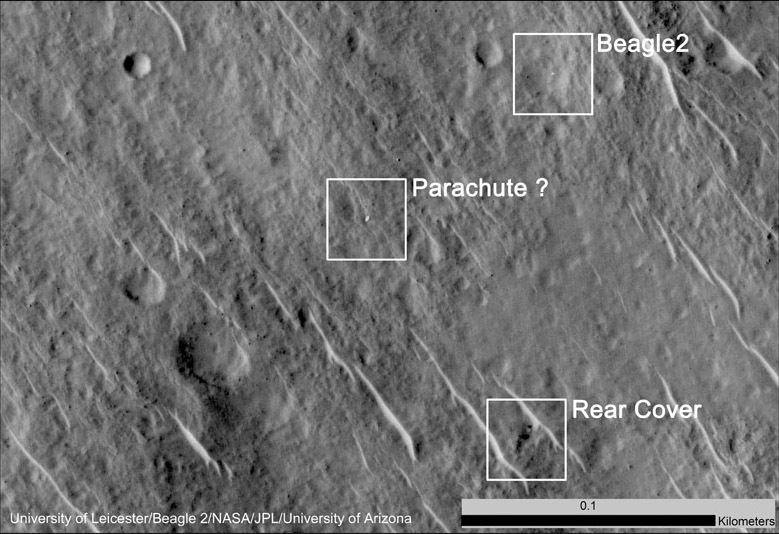 This annotated image shows where features seen in an observation by NASA’s Mars Reconnaissance Orbiter have been interpreted as hardware from the Dec. 25, 2003, arrival at Mars of the United Kingdom’s Beagle 2 Lander. 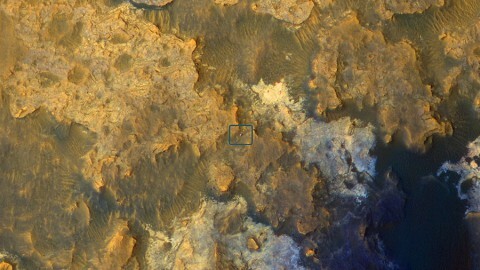 The image was taken in 2014 by the orbiter’s HiRISE camera. 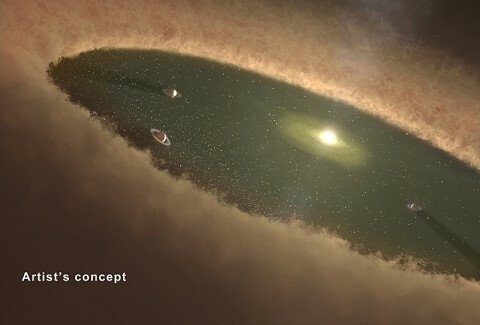 Pasadena, CA – Researchers studying what appears to be a beefed-up version of our solar system have discovered that it is encased in a halo of fine dust. 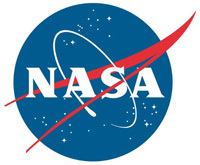 The findings are based on infrared data from NASA’s Spitzer Space Telescope and the European Space Agency’s Herschel Space Observatory, in which NASA is a partner. The dusty star system, called HD 95086, is located 295 light-years from Earth in the constellation Carina. It is thought to include two belts of dust, which lie within the newfound outer dust halo. Pasadena, CA – Images from NASA’s Dawn Mission have been used to create a series of high-resolution geological maps of the large asteroid Vesta, revealing the variety of surface features in unprecedented detail. 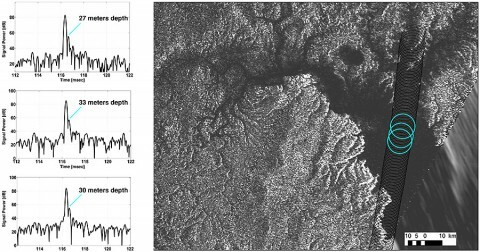 These maps are included with a series of 11 scientific papers published this week in a special issue of the journal Icarus. Geological mapping is a technique used to derive the geologic history of a planetary object from detailed analysis of surface morphology, topography, color and brightness information. Pasadena, CA – The ruddy color of Jupiter’s Great Red Spot is likely a product of simple chemicals being broken apart by sunlight in the planet’s upper atmosphere, according to a new analysis of data from NASA’s Cassini mission. 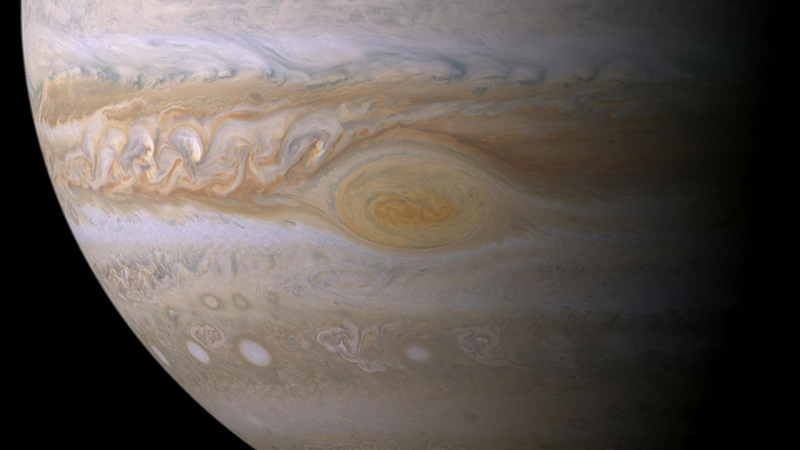 The results contradict the other leading theory for the origin of the spot’s striking color — that the reddish chemicals come from beneath Jupiter’s clouds. 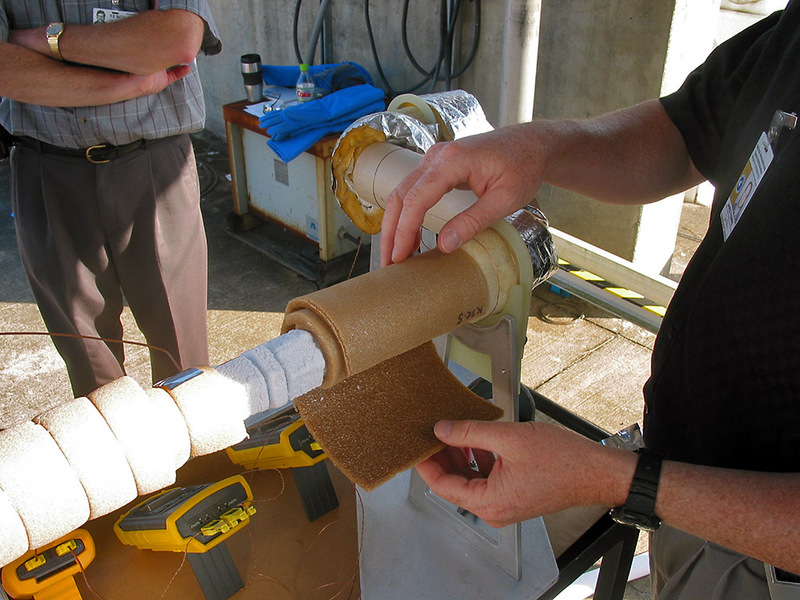 The results are being presented this week by Kevin Baines, a Cassini team scientist based at NASA’s Jet Propulsion Laboratory, Pasadena, California, at the American Astronomical Society’s Division for Planetary Science Meeting in Tucson, Arizona. 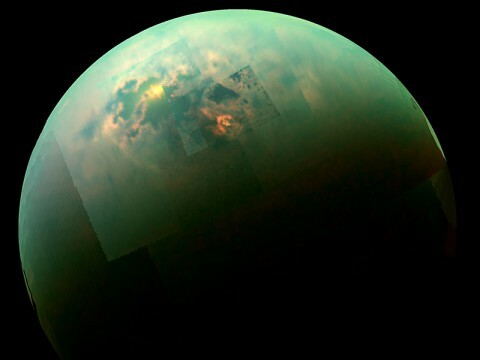 Pasadena, CA – NASA’s Cassini mission continues its adventures in extraterrestrial oceanography with new findings about the hydrocarbon seas on Saturn’s moon Titan. 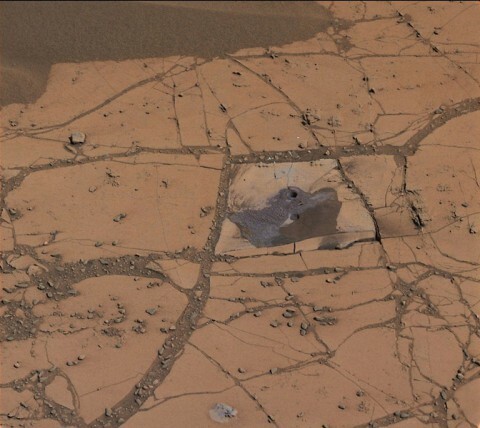 Pasadena, CA – Reddish rock powder from the first hole drilled into a Martian mountain by NASA’s Curiosity rover has yielded the mission’s first confirmation of a mineral mapped from orbit. 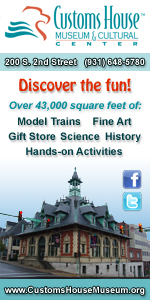 Pasadena, CA – As it soared past Saturn’s large moon Titan recently, NASA’s Cassini spacecraft caught a glimpse of bright sunlight reflecting off hydrocarbon seas. In the past, Cassini had captured, separately, views of the polar seas and the sun glinting off them, but this is the first time both have been seen together in the same view.